Beef Bourguignon with cauliflower puree – this was probably the best meal I have had since starting the program. 340 calories. 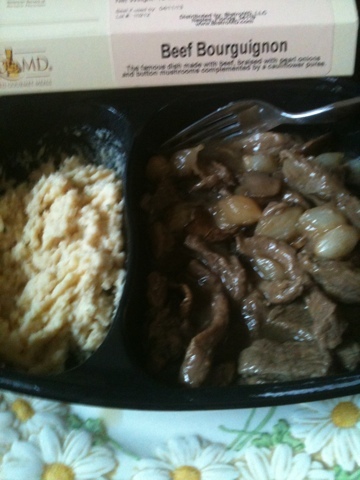 The quality of the beef was very good, the small onions were sweet. The cauliflower puree was excellent, though I wish there had been a little bit more of it.